As a newly-minted grandfather, I’m now very familiar with the remarkable accuracy of today’s ultrasound technology. The first images that our daughter shared with her mother and me we stunning in their detail. I almost expected our little bundle to smile and wave. 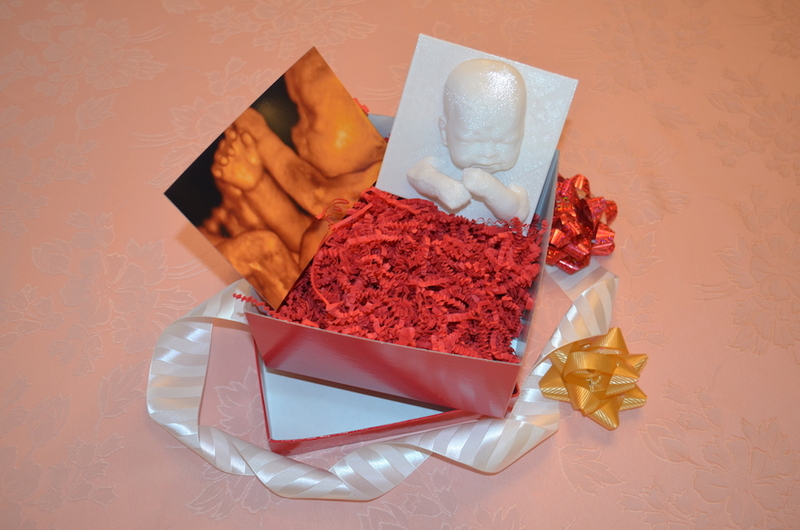 Customers send their 3D or 4D ultrasound image and Sonobabies creates a digital model of the unborn child. For $149, customers get an enhanced photo, an enhanced print and a 4-inch digital model in a gift box. Sonobabies says their models make a great shower gift and a lasting souvenir for the baby’s room. For more details and a discount coupon offer, visit the Sonobabies website.